MONOGRAPH is pleased to present a new restoration of R. Bruce Elder’s epic 1985 film Lamentations: A Monument to the Dead World. The restoration was undertaken as part of a larger project to restore and preserve Elder’s monumental film cycle The Book of All the Dead, by filmmaker and scholar Stephen Broomer and the Gatineau Preservation Centre. Lamentations has a total running time of 435-minutes and is composed of two parts. Part one: The Dream of the Last Historian (195-minutes) will commence at 1:00pm followed by an evening intermission. The film will resume at 6:00pm with part two: The Sublime Calculation (240-minutes). There will be an encore presentation on Saturday April 6, 2019, at the Southern Alberta Art Gallery in Lethbridge. "How doth the city sit solitary, That was full of people! How is she become as a widow! She that was great among the nations. Behold, Oh Lord; for I am in distress: My bowels are troubled; Mine heart is turned within me; For I have grievously revelled; Abroad the sword bereaveth, At home, there is as death." 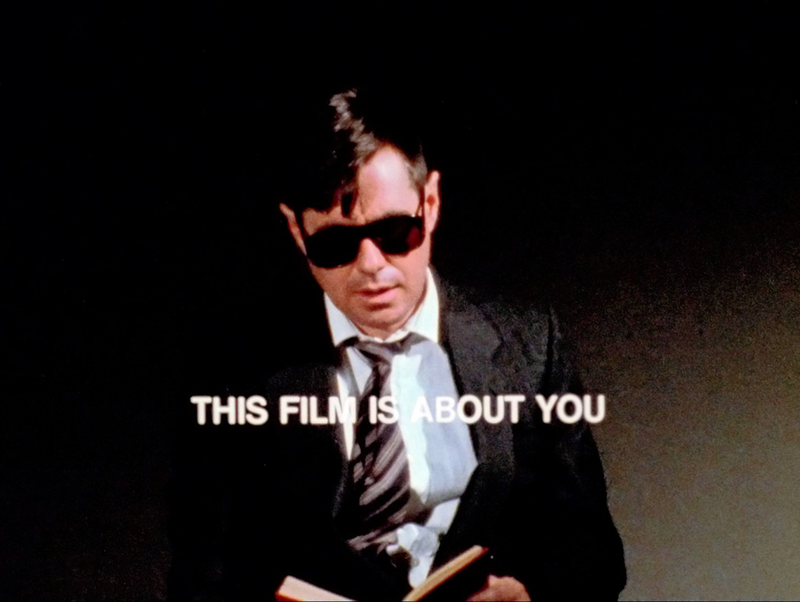 A 42-hour, multi-film cycle created from 1975 to 1994, Bruce Elder’s The Book of All the Dead is perhaps the most ambitious project in the history of cinema. Together the two parts that comprise Lamentations, The Dream of the Last Historian and The Sublime Calculation, form a significant chapter of this epic cycle. An exploration of Dante’s Commedia and Ezra Pound’s Cantos, Lamentations is a vast and compendious film. Its layered imagery shifts dialectically between distinctive, handheld travelogue sequences recorded in Europe and North America, and a series of staged, fixed-perspective character scenes. The presence of layered text over the images is a unifying device; this expositional dialogue revealing the films central concepts of modernity, intimacy, religion, and the nature of subjectivity. Stan Brakhage, Telling Time, 124–125. Elder’s works combines images, music and text to create works that reflect his interest in philosophy, technology, science, spirituality and the human body. His first major film cycle (20 films), The Book of All the Dead, which draws on his long study of Dante Alighieri's Commedia and Ezra Pound’s Cantos, conveys his preoccupation with the horrors of modernity, its faith in progress and the loss of a sense of what is good and evil. His current film cycle, The Book of Praise, makes extensive use of computer-image generation, highlighting his fascination with mathematics and digital technology. Elder has been a guest lecturer at institutions across North America and around the world and has written books and articles on film, music, poetry and the visual arts. In 2007, he received Governor General's Award in Visual and Media Arts. The jury described him as “highly innovative,” “influential” and “acutely intelligent,” noting the enormous span of his practice and the demanding nature of his films. He is a media artist, a cultural theorist and a software developer. His media work has been screened at New York’s Museum of Modern Art and Millennium Film Workshop, Berlin’s Kino Arsenal, Paris’ Centre Pompidou, the San Francisco Cinematheque, Atlanta’s High Museum, and Los Angeles’ Film Forum. Retrospectives of his work have been presented by Anthology Film Archives (NY), the Art Gallery of Ontario, Cinématheque Québecoise, Il Festival Senzatitolo (Trento), Images Film and Video Festival (Toronto) and Paris’ Festival des cinémas différents. A central theme of his thinking concerns the influence of developments in science and technology on vanguard art and the role technological media have played in transforming art-making and aesthetics. MONOGRAPH would like to thank our partner organizations EMMEDIA Gallery and Production Society and the Southern Alberta Art Gallery for making this presentation possible.